“Light-Up Night” takes on a new meaning with Steel Town Fire. photo: Martha Rial. 1) Highmark First Night Pittsburgh 2018 is the biggest New Year’s Eve party in the ‘Burg, and happening all over the Downtown’s Golden Triangle. Musical highlights include Joe Grushecky and The Houserockers (Benedum Center, 7 – 7:45 p.m.) and Lee Fields and the Expressions (Benedem Center, 10:30 p.m.). 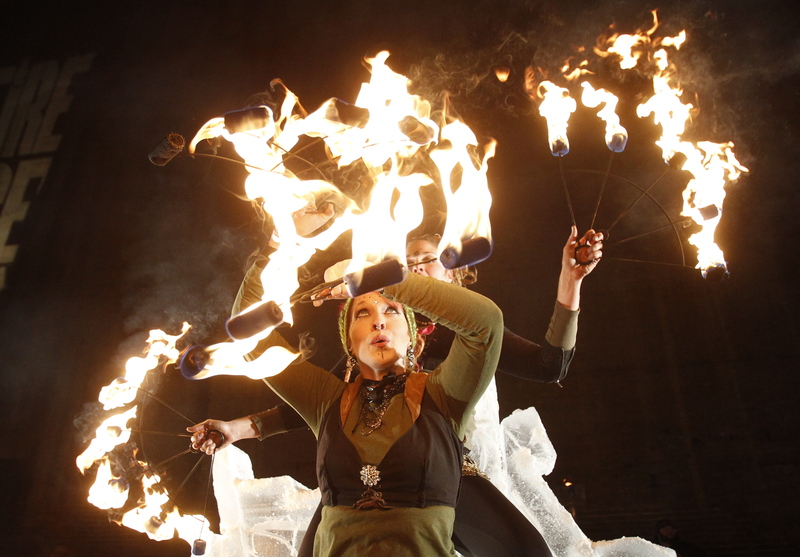 The entertainment and attractions lined up for First Night are amazing: bands, dancers, comedians, balloon-animal creators, acoustic musicians, dance lessons, buskers, caricature artists, face painters, clowns, puppets, storytellers, sports mascots, theatrical performances, large scale games, fire performers and ice carvers. Oh, and of course, fireworks! Events start at 6 p.m. and go until midnight. Visit Highmark First Night Pittsburgh 2018 for details.